Twitter desktop clients for Linux keeps growing. The latest hottest entrant is called Hotot. It's pretty hot indeed. Hotot twitter client is still in its early stages of development but already looks quite promising. I am being frank here. I never had a cent percent satisfied experience with Gwibber, the default twitter client for Ubuntu. Pino was pretty good, but nothing like Hotot before. I mean, Hotot may be lacking a lot of features that others currently have(probably since it's still in its early alpha stages), but from a newbie point of view, Hotot is slick and I absolutely loved the way it looks and feels. And a lot of small things like the slick transition animations, responsiveness, a promising extension framework etc. 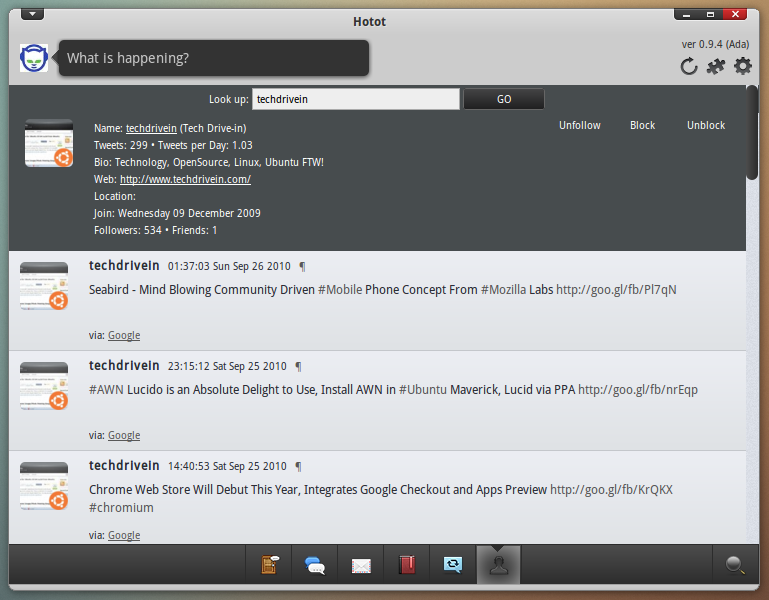 make Hotot twitter client for Linux really special. 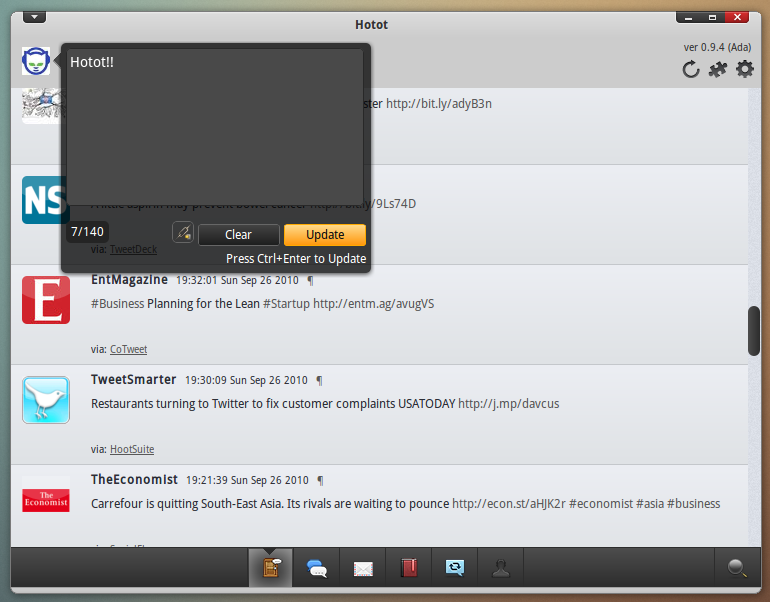 Hotot will be my Twitter desktop client for Ubuntu at least for the time being. How to Install Hotot in Ubuntu Maverick, Lucid via PPA? There is a PPA available to easily install Hotot in Ubuntu Maverick and Lucid. Simply do the following in Terminal. Done. Give it a go and let us know what you think.